One hates to date oneself, when it’s so inexpensive to just stay home, but I first read about the Hayden Bros. – Tommy, Nicky and Roger – before I knew the internet existed. 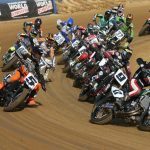 Roadracing World used to show up at the office every month, and there the Owensboro, Kentucky, kids were for the first time, in that year’s “Young Guns” feature. Whatever year it was that Nicky was 13, as I recall – circa 1994. Nicky, of course, was the most successful, winning the 2016 MotoGP World Championship to cap his glorious career. Elder statesbrother Tommy was no slouch, picking up a pair of AMA 600 SuperStock titles over the course of his career. And now baby brother Roger Lee says he’s done at the end of this season with Yoshimura Suzuki, even though he still mostly finds his way onto the podium after 20 years of professional racing. Congratulations, Roger. Thank you for all the good times, proud parents Earl and Rose Hayden. 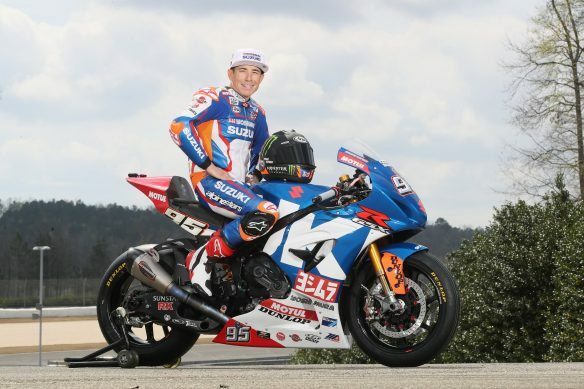 Brea, CA (July 31, 2018) – Roger Hayden, the Yoshimura Suzuki Factory Racing standout and former AMA Supersport Champion has announced his intention of retiring from professional racing at the end of this season. Hayden, the youngest of the world-famous Hayden brothers, has been a leading racer for nearly all of his 20 seasons as a professional. 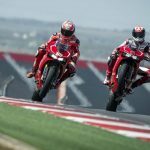 Suzuki and Hayden are exploring ways he might stay involved in the sport after this part of his career is completed.